Otoplasty is the medical name of the surgery performed to improve the shape and deformities of the ears. 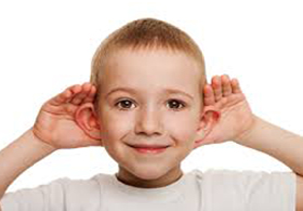 Whether the defect is since birth or caused by an injury, all ear deformities can be corrected by otoplasty. Even a small surgery correction can make a profound difference to the total appearance. Cosmetic deformities can cause immense psychological effect on the individual lowering his self esteem. Usually prominent ears stand out at an angle of more than 35%. Overdevelopment or underdevelopment of cartilage in the pinna or outer ear can also lead to protruding ears. You may discuss the results you wish from otoplasty surgery with your surgeon and also let her know your previous and current medical conditions. The doctor should thoroughly examine your ears checking the size, position, symmetry and angle of ears from the head. This would give the doctor a blueprint of how to correct the deformities and enhance your looks. The surgery takes approximately about one to two hours. The procedure involves local anaesthesia and intravenous sedation. If required, general anaesthesia may also be given. Surgery is usually done in both the ears. An incision is made behind the ears or within the inner creases of the ears depending on the area the correction is needed. The incisions are made such as to keep the scars out of direct view. The scar, however, fades away over a period of time. Excess cartilage and skin are removed from the pinna. The cartilage is then correctly folded and secured with sutures. Routine activities like office and school can be resumed after a week. Exercise and work outs can be started after the second week but taking excessive stress or trauma is not advisable. It is suggested that you consult your doctor before resuming these activities. One may feel numbness and stiffness in ears for quite some weeks or months. Bruises may last up to a week or two. Proportionate ears well balanced with the size and contour of the face and head. The changes are permanent. Another surgery may be performed in case desired results were not achieved.